The vast reaches of Russia extend from the Caspian Sea to the Pacific Ocean. Across this stretch of land, various landscapes exist for the growth of thousands of kinds of flowers. Many of the flowers prefer the warmer southern reaches of Russia to grow. Not all flowers growing in Russia are native to that country, such as the national flower of Russia, the sunflower. This flower came from its native North America to Russia, where it grows today, according to the University of California Davis. 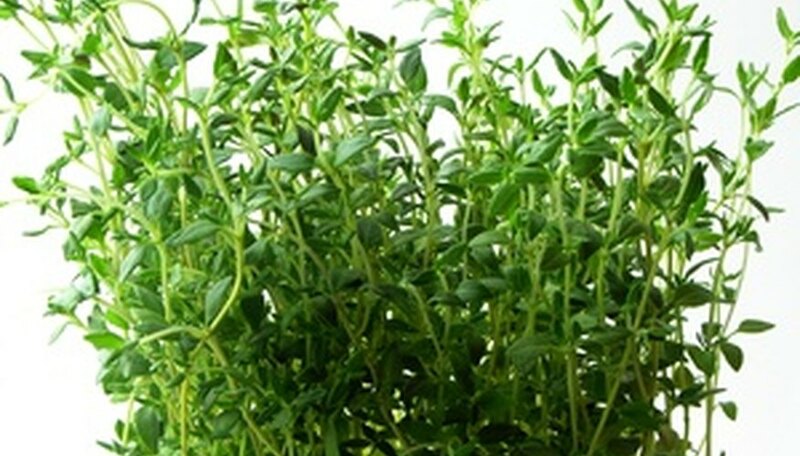 Saving thyme in a bottle for use as a kitchen herb requires drying the plant for several hours. A member of the mint family, thyme has two varieties native to southern Russia: odoratissimus and pallasianus, according to the University of Vermont. Odoratissimus grows 6 inches tall with purple-green flowers and emits a citrusy scent. Pallasianus also has a citrus odor, but it grows pink flowers instead. This plant grows 3 to 4 feet tall and 3 feet wide. It bears white flowers in the fall with two or three pistils inside the flower. The stalks of the flowers arch over to create a curved appearance to their stems. Russian tarragon, or Artemisia dracunculoides Pursch, comes from Russia and western portions of Asia but has become popular in France, Great Britain and the United States, where the plant is grown as an herb, according to Texas A&M University. These plants grow to 2-1/2 feet tall and have dark, glossy leaves with a fragrant aroma. 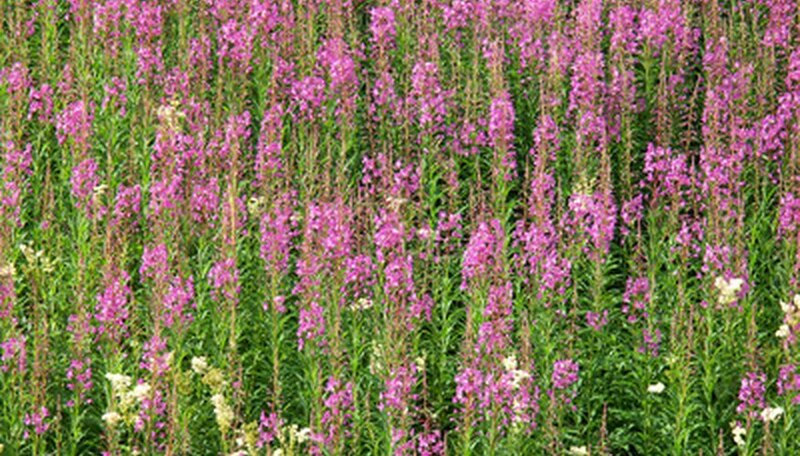 Contrary to the University of California, the University of Washington claims the fireweed to be the national flower of Russia. This plant occurs across Eurasia. It prefers areas of extensive damage, as those burned by fire, hence its name. These flowers grow invasively, reproducing by both rhizomes and seeds. Runners can sprout new blooms within a month, according to the University of Washington.